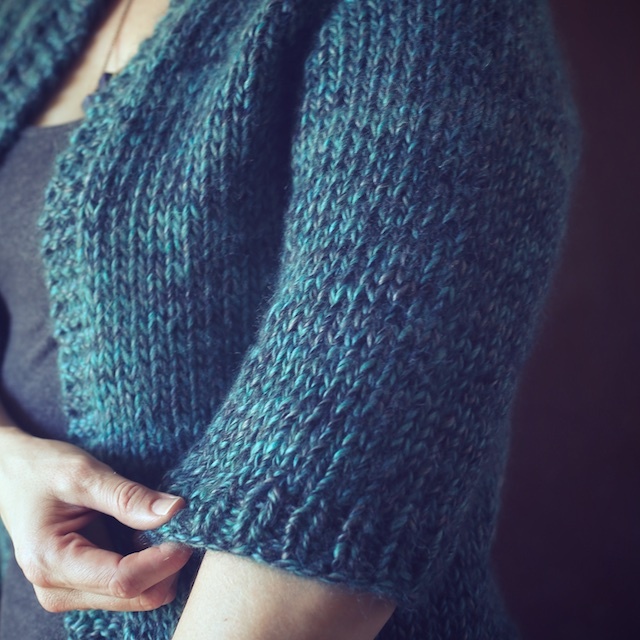 I finally found the time to take a few photos of my Perth Cardigan, by Tara-Lynn Morrison, of Good Night Day. Super fast knit, guys. 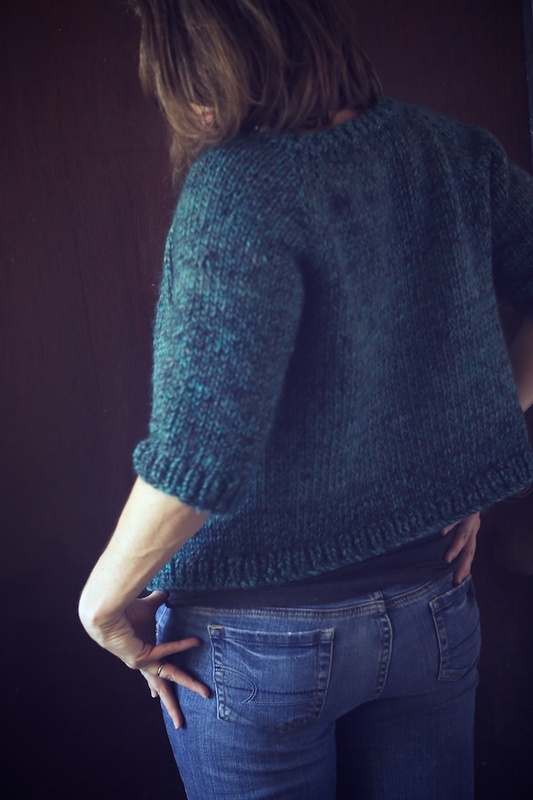 I'm not crazy about the yarn I used, but I think the simplicity of this cropped, three-quarter sleeve cardigan works in the yarn's favor. 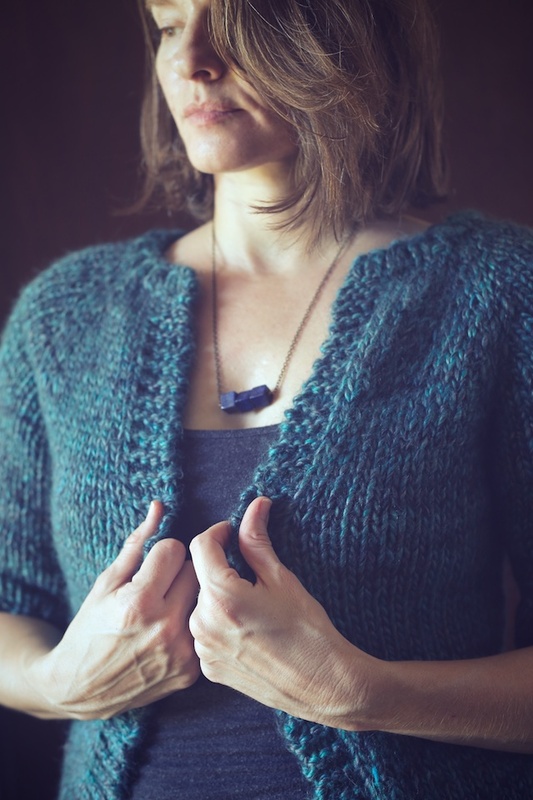 Seeing the pattern sample knit in hand dyed thick and thin made me want this knit. Like Kingston, that yarn makes it extra special. 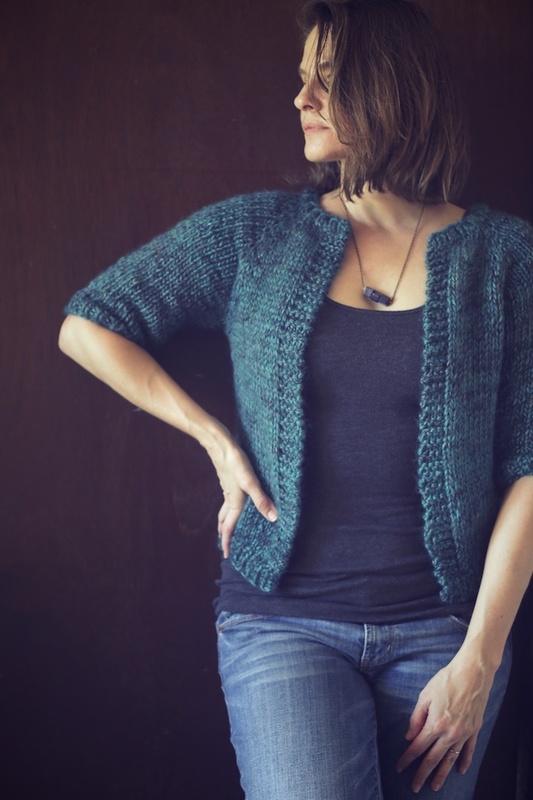 But, if I had to substitute that gorgeous yarn with a regular bulky I had on hand, then I think Perth is the better choice of the two for it. 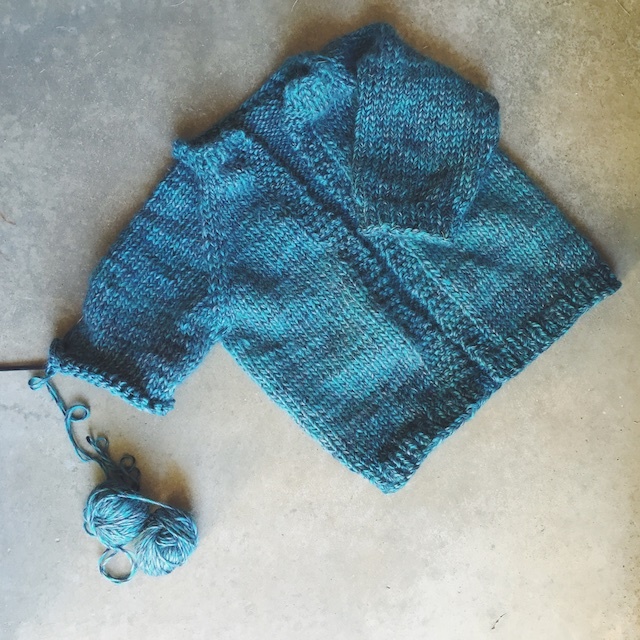 This is my second sweater for the Purposeful Stash-along, with Little Bobbins Knits. I started that knit-along with completely new stash and the Pomme de Pin. I just didn't think I'd get around to using older yarn. I completely surprised myself. I knit a colorwork sweater then, in the process of knitting from all of those Good Night Day patterns, I have knit another sweater, four hats, a cowl, two halter tops, a shawl, and two headbands with really, really old stash. I'm not entering all of it into the KAL because... that's just a lot of knits. I didn't, however, finish my Pomme de Pin. Soon, though. 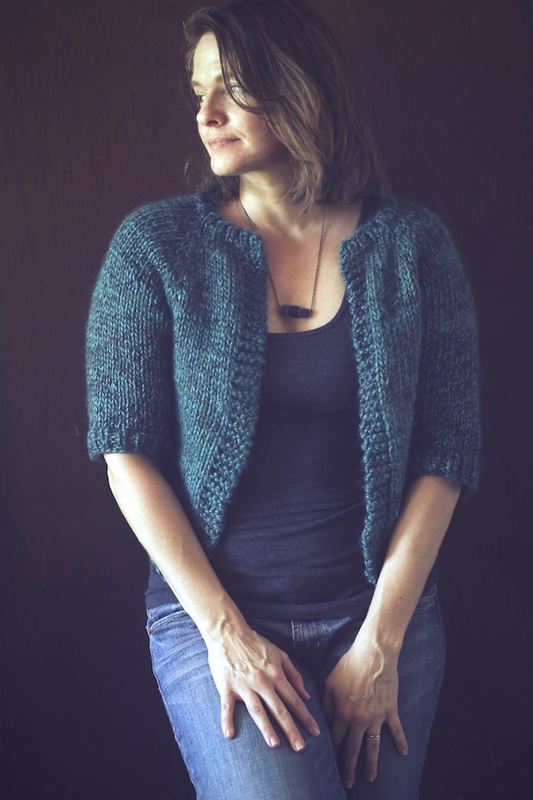 If you haven't noticed, I've been knitting a lot of Tara's patterns and will be knitting more. 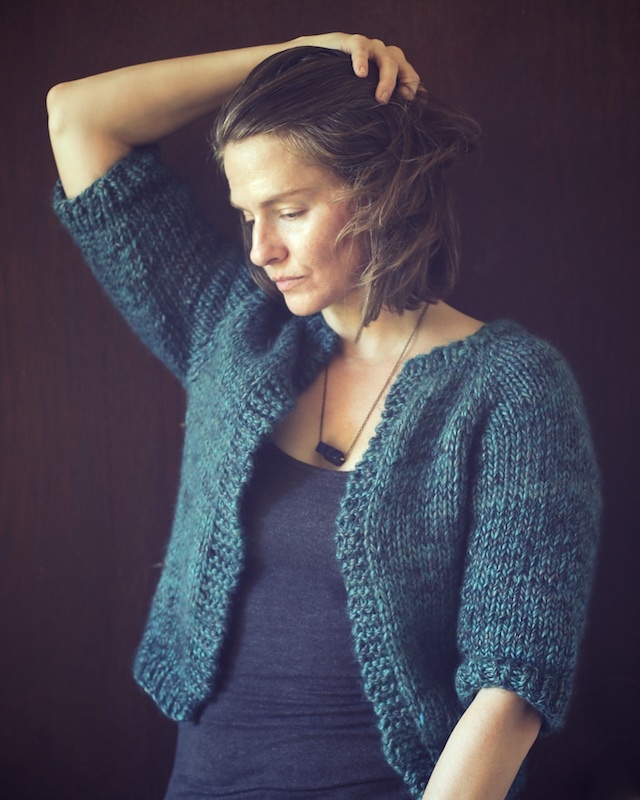 I'm test knitting for her as she prepares to release most of her patterns in one large book. Though she's obviously knit these designs successfully for years, I think it's bold to have them re-tested, tech edited, and self-published. Have I mentioned how much I love the freedom of self-publishing? Well, I do. It's one of the reasons I wanted to test knit these. I also own her three mini-books and enjoy these bulkier weight designs. 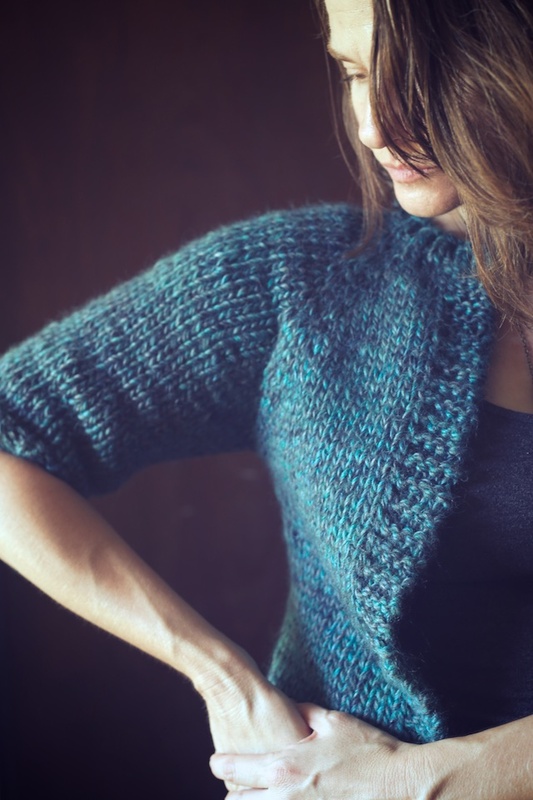 Here's the details: This Valley Yarns' Enfield is now discontinued, but it was supposed to be bulky. I was disappointed to find it was more like a worsted. However, I had a ton of it, so I just doubled it up for this. Even doubled, it was still shy of a full, super bulky weight. Adding 18 stitches to the cast on compensated for that. I also knit with Us 10 needles throughout. Then, at the raglan marker placement, I added: 1 st to front band, 2 to right front, 3 to right arm, 6 sts to back, 3 to left arm, and 2 to left front, and 1 to other band. In every other way I followed the pattern. It was like, maybe a two day knit. 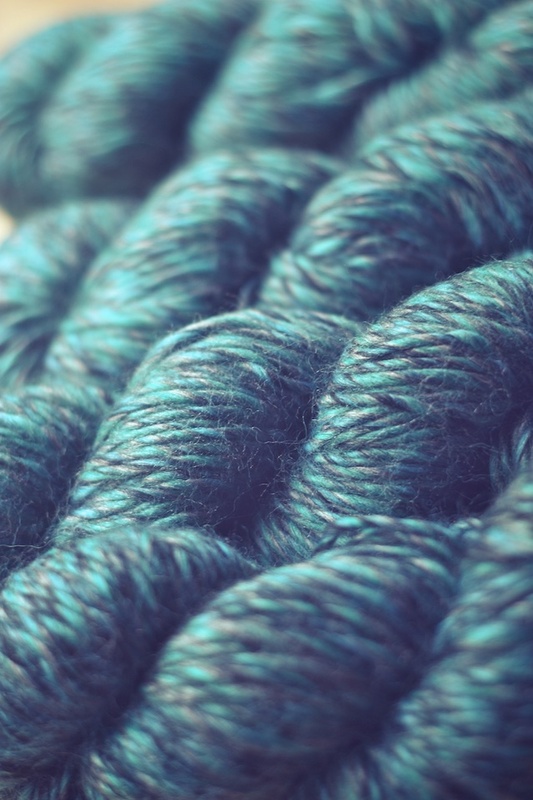 So, it's not like the beautiful yarn used in the pattern sample. But it has a nice alpaca halo and the different colored plies are unusual for me. Over a simple dress or even here, with jeans and a tee, it looks classic and refined. I think the three-quarter sleeves are perfect.